DAVID LE/Staff photo. 5/12/15. 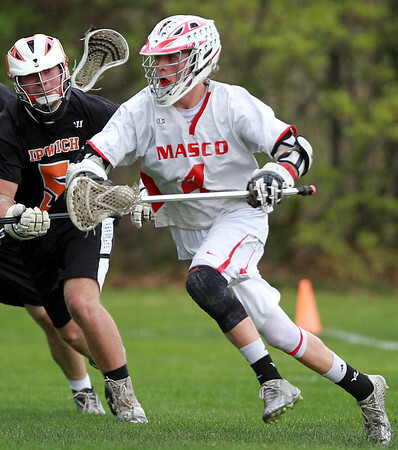 Masco senior attack Cam Jung (4) tries to drive towards the net while being pursued closely by Ipswich senior defense Eddie Flaherty (5).